President-elect Donald Trump announced three members of his National Security Team on Thursday night and Friday morning. Last night the Trump campaign announced Lt. Gen. Mike Flynn as National Security Advisor. This morning Donald Trump announced two more members of his security team. Senator Jeff Sessions was offered Attorney General. Rep. Mike Pompeo will lead the CIA. President-elect Donald Trump has offered the position of attorney general to Sen. Jeff Sessions (R-Ala.) and the position of CIA director to Rep. Mike Pompeo (R-Kan.), according to sources close to the transition. Sessions’s offer was finalized Thursday and the senator has been working with staff to lay the groundwork for an official announcement, said one person close to the transition, who requested anonymity to discuss internal deliberations. Two sources who have spoken directly with Trump officials said Pompeo had been offered and has accepted the job of CIA director. They also asked for anonymity because they are not authorized to speak publicly about the process. 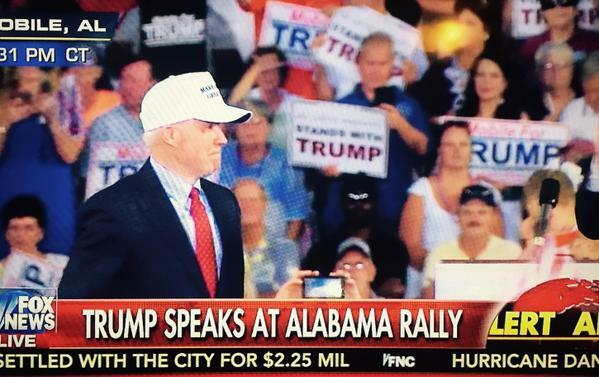 Senator Jeff Sessions (R-AL) was the first US senator to endorse Donald Trump for president last year.